The Research Ambassador Program enhances scientific engagement and scientific literacy in the public, particularly environmentally unaware public audiences. What is Dancing for Diversity? “biome” is an explration of the forest canopy via modern dance. Jodi Lomask, artistic director and coreographer of The Capacitor dance troupe, began collaborating with Nalini Nadkarni in 2006. Nadkarni and Lomask brought the worlds of science and dance together, leading to “biome,” an engaging, visual exploration of the interconnectedness of the forest ecosystem. Nadkarni brought Lomask’s troupe to her canopy ecology research stations in Washington state and Costa Rica, while Lomask brought new ideas and perspectives. What issues does this project address? Synthesis of scientific knowledge is an integrative process that uses research from multiple approaches to arrive at a novel understanding about a complex entity. Projects such as this not only bring together unique perspectives, with scientists learning from artists, and artists from scientists, but this dance performance became the “bait” to attract new audiences to information on ecological synthesis. This project provides for the exchange of information, ideas, and creativity, between audience, artist, and scientist. 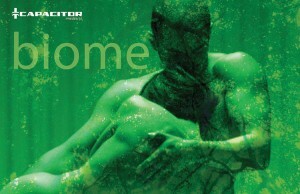 Performances of biome occured in San Salvador, New York City, San Francisco, Seattle, and other cities. Peformances by the Capacitor troupe were coupled with presentations of canopy ecology from the scientific perspective (by Nalini Nadkarni), and information from conservation and preservation oriented non-profits. This project has also yielded long term collaborations and linkages with additional scientists and artistic communities.